A Street Cat Named Bob is a story about redemption. 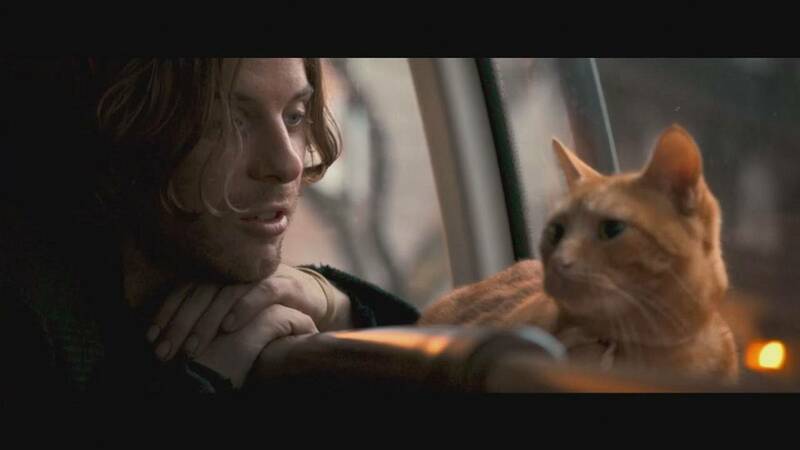 We meet James Bowen, a British busker and recovering drug addict, whose life is changed one night by a fortuitous encounter… with a cat he goes on to name Bob. Bob plays himself in the majority of the film, while Luke Treadaway stars as Bowen with actress Ruta Gedmintas as his girlfriend. The actors spoke about the felines involved in the making of the movie. After living rough on the streets of London, Bowen was given a fresh start in 2007 when he enrolled in a methadone programme and was offered a place to live. But it was a chance meeting with a special cat that gave Bowen hope to put his life back on track, something the former addict is very thankful for. Bob followed the budding musician everywhere, including Covent Garden where Bowen busked. The double act became a hit. Bowen was on set for much of the shoot. Directed by Roger Spottiswoode, the Sony Pictures-released film also stars Joanne Froggatt as Bowen’s drug support worker and Anthony Head as his father. Based on the best-selling book of the same name, the movie is out across Europe from early November.